Published in 1914, Mrs. Chadwick's In the footsteps of the Brontës is one of the most interesting early biographies of the family. The book, which has some very valuable information about 'Brussels' has now become available online. Little is known about the author, Esther Alice Chadwick. She seems to have been born in 1882. In 1910 she published a biography of Mrs Gaskell. Both books she signed, confusingly, as Mrs. Ellis H Chadwick. In 1917 her article about A gift from M. le Professeur Constantin Heger to Charlotte Brontë was published in 'The Nineteenth Century'. 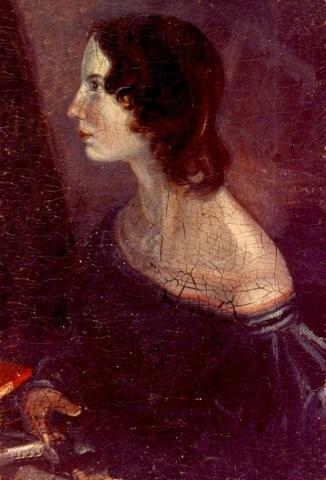 The last reference to her that can be found is a book named Haworth Parsonage, the home of the Brontës, from 1928. It's not known when she died. The book has some very interesting photographs and other illustrations, for instance of the Rue d'Isabelle and M. and Mme. Heger's grave. There's also a nice but too speculative chapter about a third visit to Brussels by Charlotte (beginning on page 400) in 1850. With regard to the Jenkinses, and in particular the question about where exactly they lived, a giant breakthrough has been achieved by Brian Bracken. Below you can read his article about it. Brian, if I may say so, is a great addition to the Brussels Brontë Group's Research Dept. With the aid of Renate Hurtmanns, who previously did vital cemetery research, we will continue to bring you interesting resarch news. There's also more to come on the website, the beginning of an A to Z of places and persons, in which among other things a longer version of Brian's article can be read. In the near future we also hope to make available online some old articles ourselves, like Mrs. Chadwick's A gift. 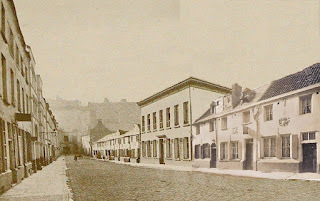 Brian Bracken reports on an important discovery concerning the location of the house of the Rev. Evan Jenkins, the British chaplain in Brussels whose home was so often visited by the Brontë sisters. The Jenkins family played an important role in the Brontë Brussels story, introducing Emily and Charlotte to the Hegers and their Pensionnat, yet the only concrete address we've ever had for the family's home in Ixelles is from W. Gérin's famous biography of Charlotte Brontë, wherein she cites the address as Chaussée d'Ixelles, 304. This lies near the Place Flagey end of the Chaussée. It would have proved a long enough walk for the Brontës, coming from downtown Brussels on their Sunday visits to the Jenkinses. However, our new research has shown that the address provided by Gérin is incorrect.The Brontë biographer repeats an erroneous address listed in the 1840 Indicateur Belge, used by her as a source book. If one looks at other Indicateurs, or address books, for Brussels in the period 1838-1848, the Jenkins address is clearly given as Ch.d'Ixelles, 388. The Ixelles Commune's Population Census for 1846 confirms this address. 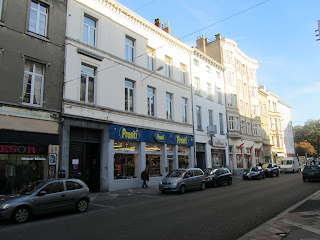 However the Chaussée d'Ixelles we know today ends at number 359. So where was number 388? This has a simple explanation - the houses of Ixelles underwent a major numbering change between the years 1846 and 1850. Chaussée d'Ixelles 388, in the new numbering system became Chaussée d'Ixelles, 138. The death certificate of the Rev. Evan Jenkins, issued by the Ixelles Commune, confirms this. He died at this address, on 23 September 1849. Where was number 138 located exactly on the Chaussée? Reading the 1846 and 1856 Census Registers for Ixelles, it's clear that the house bearing this number lay between the Rue de la Paix and the Rue de la Tulipe, on the left hand side as one goes from the Porte de Namur to Place Fernand Cocq. It was located about eight or nine houses before the corner of Rue de la Tulipe. The Ixelles cadastral maps of 1836 and 1866 also show this position. 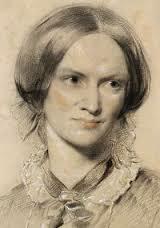 On their Sunday afternoon visits here, the Brontë sisters, accompanied by the Rev. Jenkins' sons, John and Edward, would have walked up from the Place Royale in half an hour at the most. We must note, however, that the Ch. d'Ixelles,138 of the 1840s is not the 138 we see today. There were further minor house number changes on the Chaussée over the last 160 years, with the result that the house would have stood somewhere between the present day 144 and 148, still on the same section of the Chaussée d'Ixelles, between the Rues de la Paix and de la Tulipe. It's impossible to be more precise for the moment. The street has seen a lot of new constuction over the years, and old houses have been swallowed up by new blocks of flats. Numbers 144 and 146 today are neoclassical houses of 19th century origin, with transformations, and it's possible either one of the two is the Jenkins house. In any case, even if no further information can be attained, it's certain that the Jenkins family's home, whose whereabouts has long since been a puzzle, was located on this part of the Chaussée d'Ixelles. Our research also offers one of those mysterious coincidences sometimes found in Brontë studies - the house we have been patiently seeking, and which Charlotte and Emily often visited many years ago, may in fact be the house now occupied by a shoe shop called … Pronti ! Brussels Brontë Group member Johan Hellinx explains how he came to write an article in the Breton language about the Brontës’ stay in Brussels. When I trained to become a French teacher – oh yes, I learned the language of the “enemy” ! – I also studied Italian. At that time, I also laid the foundations of another hobby of mine, Celtic languages and cultures. 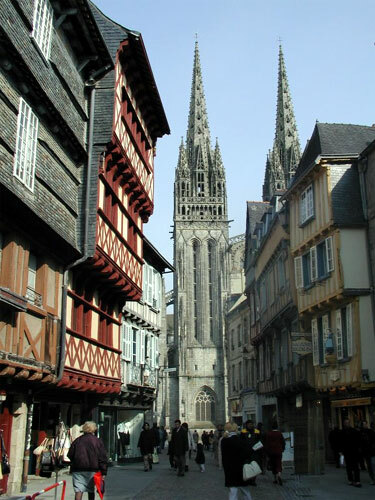 During the lectures on medieval French literature, our professor told us about the “matière de Bretagne”, the medieval French literary works inspired by the ancient Celtic legends, Tristan and Yseut, Marie de France, Chrétien de Troyes, King Arthur … It all came back years later when I decided to study Breton. It took me some time – Breton is a very strange language after all and I didn’t get younger either – but after ten years I can confirm I speak it quite fluently. That’s how I recently started writing articles for the Breton literary review ABER. When I eventually became acquainted with the Brussels Brontë Group, I formed the project of writing an article about the stay of the two Brontë sisters in Brussels – for a Breton public. I read out my article at a literary conference on women writers in Quimper in the départment of Finistère, Brittany.